Recently, the German government reported that its IT network had been under cyber-attack, by a group named APT28. This group is said to be part of the Russian intelligence agency. The interior and defense ministries’ networks have been hit as part of the cyber-crime. Thus, you see, no matter how safe you claim to be on the internet, you can never be 100 % safe. The truth is, a large part of our lives is online now. Thanks to social media platforms and search engines like Google. We are always online or logged in. And every time you login, you leave behind a digital footprint. This data is continuously under a scanner. To avoid this, opt for VPN express. This is all the more important for people, who need to protect sensitive data. A malware is a well-known threat to your online security. It refers to viruses, worms and all other kinds of attacks that can affect your system. Anything that has malicious intent is known as malware. Software downloads and email attachments are some of the most common sources of cyber-attacks. To avoid it, all you have to do is stay clear of unknown links and messages. Do not open emails from unknown senders. No matter how tempting it seems, do not click on that link. Phishing is slightly more specific. In this case, you will receive a message or mail from a trusted organization or company. The email would usually contain a link that takes you to what seems like the official website of the company. Later, it will ask you to incorporate your details and other information. Now, you can avoid all this by being alert. Using VPN express is a logical solution. A VPN express is a kind of network service where all your data get encryption. Therefore, in a VPN express, chances of you suffering a phishing attack is next to negligible. Additionally, password attacks are also pretty frequent. This is just what the name suggests. In this case, a cyber-criminal group or a malicious third party tries to access your system and network by using your password. In general, software is used that enters into your system and tries to crack your password. You can prevent this by using a secured password for all your accounts. Such passwords would include a mixture of alphabets, numbers, and special characters. At the same time, using a VPN or VPN express is one of the many ways of preventing a cyber-attack. All you have to do is keep your eyes and ears open. Le VPN is one of the fastest VPN service providers in the market today. With VPN servers across 114 nations, Le VPN allows you to easily bypass internet censorship. 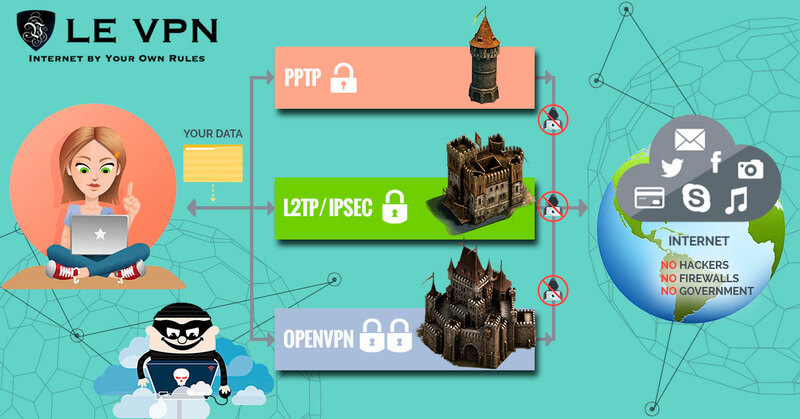 Once you opt for Le VPN’s reliable VPN service, you will enjoy uninterrupted browsing experience. Therefore, subscribe to Le VPN today.